Experience London’s royal heritage and pageantry with a two and a half hour immersive experience at Buckingham Palace. A tour which combines a visit to the Palace with a chance to witness the Changing of the Guard. The colourful spectacle of the Changing of the Guard ceremony is followed by an independant audio tour of the magnificent palace, including the State Rooms where guests can admire the lavish rooms used by the royals for State and ceremonial events. 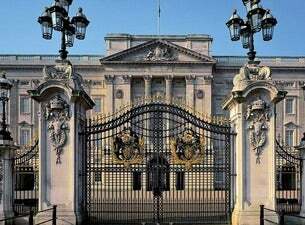 Please note: Buckingham Palace is only open to the public for approx. eight weeks each year. Tickets sell out fast, so book now to avoid disappointment.